Russian Defense Minister Sergei Shoigu. The Russian Defense Ministry in 2016-2020 will focus on the development of military infrastructure in the Arctic zone and on the Kuril islands, Russian Defense Minister Sergei Shoigu said. "First of all, we will focus on the development of military infrastructure in the Arctic and Kuril island zones, and also the rebuilding of a daily command point of the Eastern military district," Shoigu told a Defense Ministry collegium on March 25. "We will discuss the implementation of the plans in the Eastern and Western Military Districts in 2016-2020," Shoigu said. 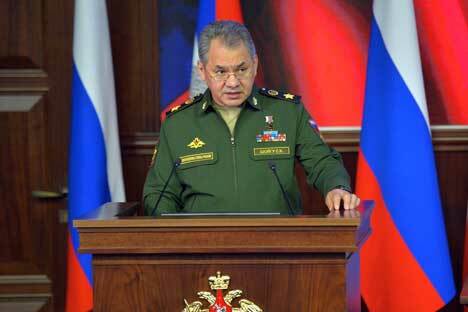 Shoigu said "active work is currently being done on the Arctic units." In this regard, the minister recalled that over 9,500 tonnes of construction materials and equipment was taken to Wrangel Island and Cape Schmidt during navigation in 2015.